The fundamental litmus test for American democracy-its economy, government, criminal justice system, education, mass media, and culture-remains: how broad and intense are the arbitrary powers used and deployed against black people. In this sense, the problem of the twenty-first century remains the problem of the color line. First published in 1993 on the one-year anniversary of the L.A. riots, Race Matters was a national best-seller, and it has since become a groundbreaking classic on race in America. 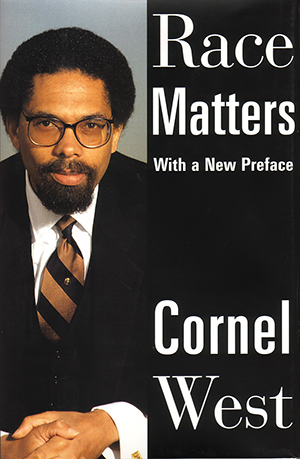 Race Matters contains West’s most powerful essays on the issues relevant to black Americans today: despair, black conservatism, black-Jewish relations, myths about black sexuality, the crisis in leadership in the black community, and the legacy of Malcolm X. And the insights that he brings to these complicated problems remain fresh, exciting, creative, and compassionate. Now more than ever, Race Matters is a book for all Americans, as it helps us to build a genuine multiracial democracy in the new millennium.